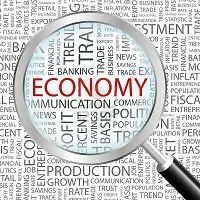 In 2014, the United States has seen the most dramatic economic improvements since the years before the 2008 Great Recession took hold of our economy and markets, creating pandemonium and fear around the globe. All economic indicators from most major sources point toward continued increases in 2015. With this positive outlook comes the potential for prosperity for all companies that are prepared for the continued improvements in our economic climate. Kiplinger reported that the 4th quarter was down slightly, but it constituted an adjustment that is fairly normal after several quarters of improvements. Their outlook for the 2015 economy includes continued job growth, shrinking unemployment and improved spending by consumers, which constitutes over 70% of our economy. This increased spending will improved the job market even more, resulting in more disposable income, and increased spending on recreation and travel—which took a big hit during the recession that lasted more than five years. A good part of this increase, as well as other economic benefits, will come from the continued price pressure on oil. Goldman Sachs is predicting that oil prices will maintain levels of around $75 to $85 a barrel for 2015. Much of this comes from non-OPEC countries, like Brazil, which are increasing their output dramatically to capture and compete with OPEC countries. This, combined with shale production in the US, will keep pressure on the price of oil. That translates to not only increased spending on travel and recreation, but lower costs for transport companies, manufacturers, distributors and materials handlers of most of the products we consume. The energy outlook will no doubt contribute to continued economic improvements in the US and countries that purchase products here in the US. Moreover, shale production, which allows for much more competitive energy production than oil, is helping to lure manufacturers to the United States. That will further improve our economic outlook with higher-paying manufacturing jobs. Consumer confidence as measured by the University of Michigan Consumer Sentiment Poll came in at 88.8 for November. This is above the non-recessionary years of 87 and well above the recessionary low-point of 51. This positions consumer confidence well above the average of 69.4 during our recent recession. There are no factors on the 2015 horizon that might indicate a tremendous negative impact on consumer confidence. When consumers are confident, they spend. And when consumers spend, we all enjoy the benefits. A recent Reuters report predicts the Gross Domestic Product for 2015 will increase by some 3.3 percent. This is up from the 2.2-percent expansion expected for 2014. According to the National Association of Business Economics, this will further improve job market prospects and push unemployment to an anticipated level of 5.4 percent. What this means for our markets is an increase in manufacturing and distribution products like heavy equipment and machinery. These purchases will further improve the micro-economic climate of our industry, providing opportunities for all companies that are prepared to take advantage of 2015’s expectations. We hope that you are preparing for a robust 2015, and we would like to be your partner in helping you achieve maximum results from your materials handing products and services.